Got an old deck? Don’t despair – just call the outdoor living professionals and get their advice. That’s what the really happy owner of this deck in Crafers did – he spoke with Jock Dean of Outside Concepts Eastern branch. And Jock knew exactly what he was looking at. The deck was indeed old and had been previously painted, but was the perfect candidate for a refurb! Many other contractors would have pulled this old beauty down and built a treated pine one instead. And what a waste that would have been! Outside Concepts handled all the tedious business of removing the old decking boards, checking and replacing rotten joists, and then cutting and refitting new decking boards using stainless steel screws to hold the boards in place – a far superior method than nailing. 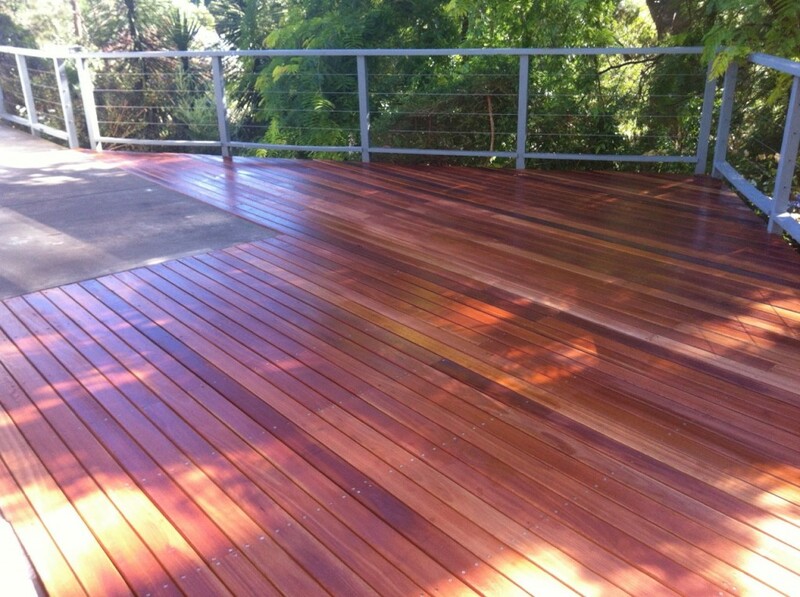 The beautiful Swan River Red (Kauri) was cleaned before being coated with Intergrain decking oil. Intergrain is one of the best products on the market and as you can see really brings out the colours, which by Jock’s good design, was matched to the hardwood colours inside their house. 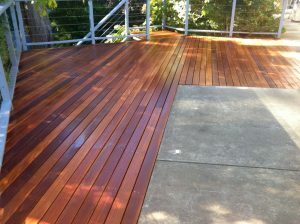 If you want your old deck made new, call Outside Concepts today!